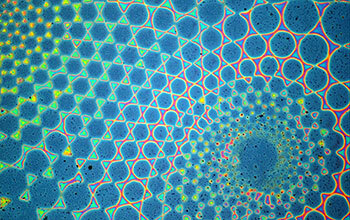 A stop-flow photopatterning method developed at the University of California, Santa Barbara, allows for intricate polymer brush patterns. The new method promises to cut down processing time while adding versatility in design. Engineered surfaces like antimicrobial cutting boards, flame-retardant carpets and friction-resistant bearings provide extra layers of safety to items we use as well as ease of operation, preserving their quality or adding utility. 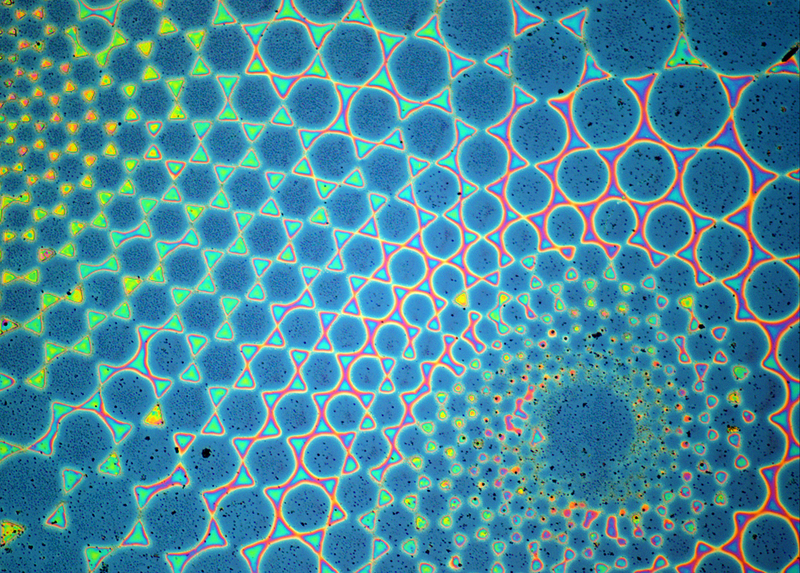 At the University of California, Santa Barbara, materials researchers are looking to greatly improve on the concept with a method of micron-scale surface chemical patterning that can not only decrease time and money spent in their manufacture, but add versatility to their design. The new method, called "sequential stop-flow photopatterning," is a platform for functionalizing and engineering surfaces with patterned polymer brushes. The research was supported by National Science Foundation grants DMR 11-21053 and DMR 12-05194.